Have a question about Philadelphia’s World Heritage City Status? 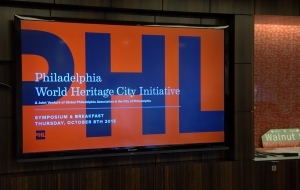 Watch the Philadelphia World Heritage City Film! Learn more about the 2017 World Heritage City Celebration. Article by Kenneth Hilario (November 28, 2017). 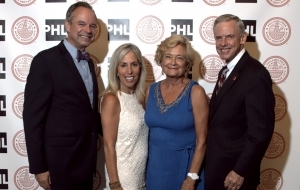 Retrieved from Philadelphia Business Journal. How does the US withdrawal from full membership in UNESCO affect US participation in the World Heritage program? When the withdrawal becomes effective at the end of 2018, the US will become a non-member observer and intends to continue to participate in several UNESCO programs such as the World Heritage Convention and Man and the Biosphere (MAB) program which do not require membership in UNESCO. Article by Claire Sasko (Oct. 13, 2017). Retrieved from phillymag.com. On Thursday, the Trump administration announced that the U.S. will withdraw from the United Nations Educational, Scientific and Cultural Organization – a.k.a. UNESCO. Article by Jeff Blumenthal (July 5, 2017). 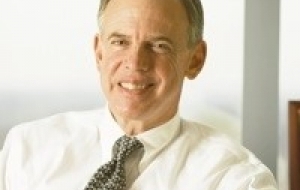 Retrieved from the Philadelphia Business Journal. 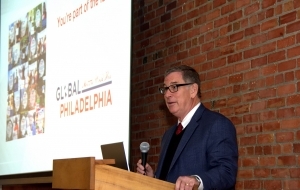 David Brownlee, University of Pennsylvania professor of the history of art, has received a lifetime achievement award from the Global Philadelphia Association for his contributions to the growth of the city. 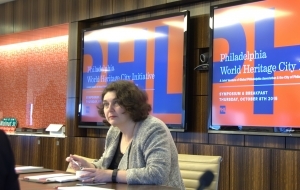 Philadelphia once again enhanced its international ties by participating in its regional conference for the Organization of World Heritage Cities (OWHC). 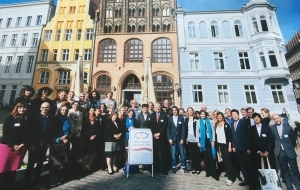 OWHC is a network of cities worldwide, each being home to at least one UNESCO World Heritage Site, with a desire to cooperate and inspire each other in world heritage and cultural management. 2016 Globy Awards once again brings out the Who’s Who in International Business to Honor Some of the Greatest Contributors to our Great World Heritage City! 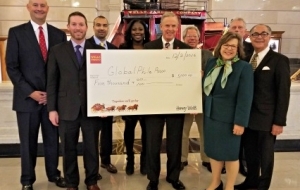 When I asked AJ Jordan, Senior Vice President of Community Affairs for Wells Fargo why Wells Fargo Foundation decided to support the Global Philadelphia Association with a $5,000 donation, his answer was immediate. 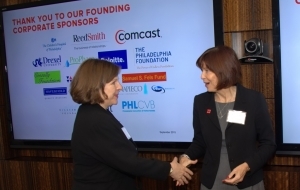 The Global Association of Philadelphia (Global Philadelphia Association) held a global summit in Philadelphia, independent thinking tourist center of discussion in Philadelphia More and more global today, how to cope with the tourism industry to better adapt to the development of globalization. 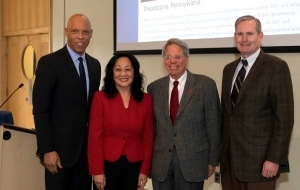 Four community leaders, including Chinatown kindergarten principal Huang Wan super (Carol Wong) obtained Globy prize to reward outstanding contributions to their global business in Philadelphia made. 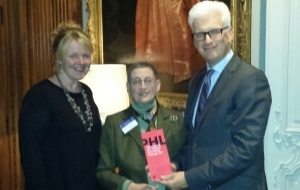 Enid H. Adler, Esq presenting a Philadelphia World Heritage City brochure to the British Ambassador to the Netherlands, Sir Geoffrey Adams, and his wife at a reception at their residence in The Hague. Enid was in The Hague participating in the 15th Assembly of States Parties of the International Criminal Court, as she has since the 1998 Treaty Conference in Rome that created the Rome Statute that is the governing law of the Court. First came a tumultuous national election. Now comes uncertainty. 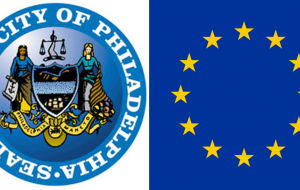 Representatives from five European companies plan to scout Philadelphia for possible expansion while local officials are considering incorporating Germany's workforce development model following a six-day trade and investment mission to Europe led by the city's Commerce Department. 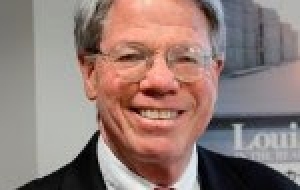 A delegation led by Philadelphia Commerce Director Harold Epps returned Friday from the nearly week-long European trip that included stops in Germany, France and Portugal. History is Philadelphia's brand. The city is America's birthplace and the nation's only World Heritage City. Yet, the city is gift wrapping many of its most-prized historic, architectural, and cultural gems and topping them with a bow for developers instead of preserving such treasures. Global Philadelphia Association Member - Mayor Kenney unveiled it to the world at City Hall on May 26, 2016. Now, we're pleased to advise that the new World Heritage City logo is available to you for use in any and all of your materials. It can readily be adapted for incorporation into your website, correspondence, brochures, annual reports, promotional materials, etc. The only exception is that use is not authorized in connection with merchandise. 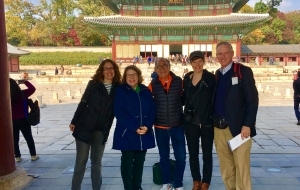 Philadelphia last November was designed a World Heritage City, becoming the first one in the United States to be included in the elite list of about 270 cities on the UNESCO World Heritage Cities program. Tra le più significative novità dell’edizione 2016 del World Tourism Expo (Wte) di Padova, in programma dal 23 al 25 settembre prossimo, si registra la presenza di un sito Unesco d’eccellenza: quello di Philadelphia, la prima città statunitense ad essere stata dichiarata patrimonio dell’Umanità. The plan outlines objectives for capitalizing on the international recognition. 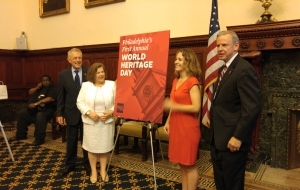 September 8, 2016 at 6 pm The City of Philadelphia, the Global Philadelphia Association and over 270 World Heritage Cities across the globe celebrated “the 23rd Solidarity Day of the World Heritage Cities, “ a yearly event which acknowledges the prestigious distinction of being a member of the Organization of World Heritage Cities (OWHC). This Strategic Plan is for all Philadelphians! Philadelphia has joined a prestigious company of over 270 international cities as a World Heritage City - the first in the United States! Philly is uniquely positioned to take advantage of many new opportunities for economic growth, international relationships, historic preservation, and increased tourism. 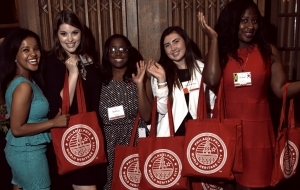 The strategic plan summarizes a series of bold aspirations that come with our new status. This plan is for all Philadelphians! 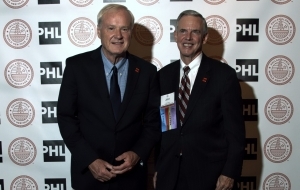 Philadelphia’s own Chris Matthews of MSBNC’s “Hardball,” Sen. Bob Casey (D-Pa.) and Mayor Jim Kenney will come together to celebrate the city’s first World Heritage Solidarity Day on Thursday. 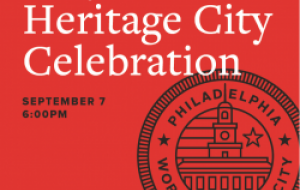 Graziella Dinuzzo, GPA As you know by now, Philadelphia is the First US City to become a member of the Organization of World Heritage Cities (OWHC) and we are celebrating our first Solidarity Day on September 8th. 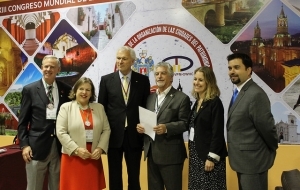 Every September 8th, over 266 member cities of the OWHC celebrate “Solidarity Day of the World Heritage Cities” to commemorate our designation. 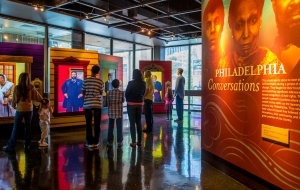 Global Philadelphia Association and the City of Philadelphia invite the press for a special screening of the documentary film, Philadelphia, America’s First World Heritage City on Tuesday, July 12, 2016 at 9 am at the Independence Visitors Center Ballroom, located on the mezzanine level (2nd Floor) of the Independence Visitor Center on the corner of 6th & Market St, Philadelphia, PA 19106. 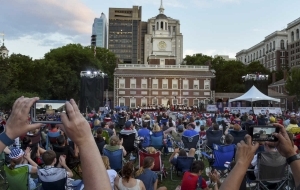 Jill Horner speaks with Zabeth Teelucksingh, Executive Director of Global Philadelphia Association, about Philadelphia becoming a World Heritage City. 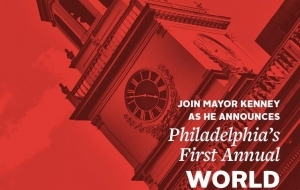 Mayor Kenney announced Thursday that every fourth Thursday in May will be World Heritage Day in Philadelphia, a recognition of the city's newfound status. Mayor Jim Kenney is making sure no one forgets Philadelphia became United States' first World Heritage City last November. On Thursday, he declared every fourth Thursday of May would be World Heritage Day and announced a strategic plan so local businesses will be able to "realize the potential in the city's new status." 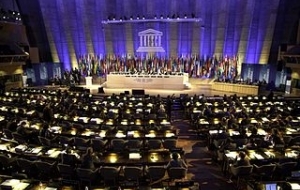 With World Heritage City Liftoff Tomorrow, What Can We Expect? 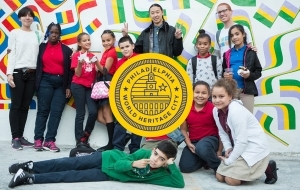 By Hilary Jay, journalist and founder of DesignPhiladelphia Tomorrow morning at 11:30 in City Hall, Mayor Jim Kenney will proclaim May 26th World Heritage Day in Philadelphia. 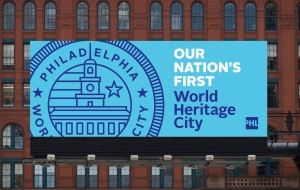 He’ll raise the first American World Heritage City (WHC) flag, read a proclamation, and unveil the WHC-Philadelphia logo and seal. WHC officials will present their aspirational goals and key strategies still in the making, among them the preservation of the city’s historical and cultural heritage and the stimulation of the region’s economy. These are lofty goals. Can they deliver? City officials, business leaders, and local and foreign dignitaries gathered at the Independence Visitor Center Wednesday night to celebrate Philadelphia’s designation as a World Heritage City. 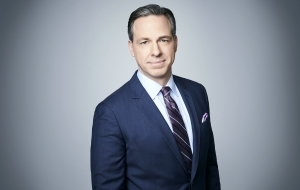 · Philadelphia Becomes First World Heritage City in US, New York Times (via Associated Press) o This story was picked up by more than 325 outlets across the country, including Yahoo!, ABC News.com, LA Times, & The Chicago Sun-Times just to name a few. Travelweek.ca - Philadelphia becomes the first World Heritage City in the U.S.
Condé Nast Traveler - Philadelphia Named First World Heritage City in U.S.
First the Pope and now : Philadelphia is having a worldwide moment. 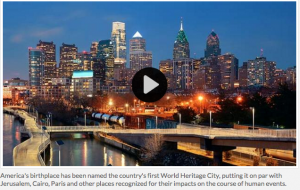 Philadelphia Becomes First U.S. City To Be Selected As 'World Heritage City' CBS Philly Alexandria Hoff reports. 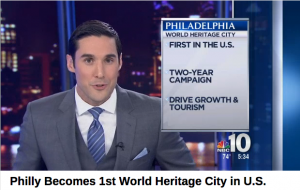 NBC10 - Philadelphia was just named the first World Heritage City in the United States. 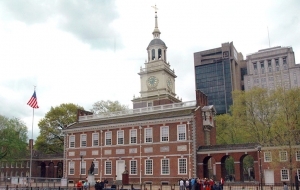 By THE ASSOCIATED PRESS_ PHILADELPHIA — America's birthplace has been named the country's first World Heritage City, putting it on par with Jerusalem, Cairo, Paris and other places recognized for their impacts on the course of human events. Por The Associated Press - FILADELFIA — El lugar del nacimiento de Estados Unidos es la primera ciudad de Estados Unidos que es declarada Patrimonio Mundial de la Humanidad, colocándolo a la par con Jerusalén, El Cairo, París y otras ciudades reconocidas por su impacto en el curso de acontecimientos humanos. Par Michael R. Sisak, The Associated Press – Philadelphie, le lieu de naissance des États-Unis, est devenue, vendredi, la première ville américaine à figurer sur la liste des villes du patrimoine mondial, rejoignant Jérusalem, Le Caire, Paris, Berlin et d’autres localités reconnues pour leur impact sur l’évolution de l’humanité. OWHC North-West Europe from OWHC North-West Europe on Vimeo. Mayor Michael A. Nutter was joined by Councilman Mark Squilla and other officials, including John Smith, III, from Global Philadelphia Association, to officially rename Walnut Street between 5th and 6th streets ‘World Heritage Way’ in recognition of the presence of Independence Hall, a UNESCO World Heritage Site, and in celebration of the Organization of World Heritage Cities’ Solidarity Day of the World Heritage Cities. 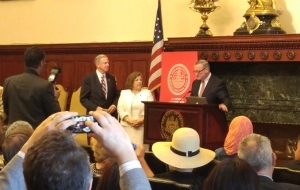 The ceremony was the latest component of an effort by the City of Philadelphia and the Global Philadelphia Association for Philadelphia to become a full member of the Organization of World Heritage Cities (OWHC). The City of Philadelphia joined the OWHC in September 2013 as an ‘observer member’, the first United States city to join the OWHC. 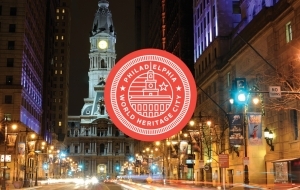 Observer Membership with the Organization of World Heritage Cities based on the City's current credentials, and subsequently under the UNESCO standards, would have major benefits for Philadelphia's renown as an international city. 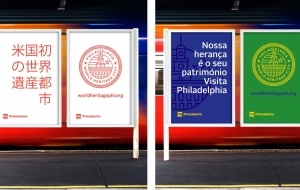 Read here the introduction about Philadelphia on the Organization of World Heritage Cities website. Text written by Dr D. Brownlee, Frances Shapiro-Weitzenhoffer Professor, Chair of the Graduate Group in the History of Art, UPenn. For further information, please contact John F. Smith III at [email protected], (215) 241 - 7921, or Zabeth Teelucksingh at [email protected], (215) 851 - 8112. The video was created especially for and shown at the 12th World Congress of the Organization of World Heritage Cities in Oaxaca, Mexico in November of 2013. Pa. state Rep. Steve McCarter recognizes Philadelphia's efforts to become the first World Heritage City in the United States.